That headline is not a misprint and you did not wake up in 2008, so tuck in your shirt and put on some better fitting jeans. 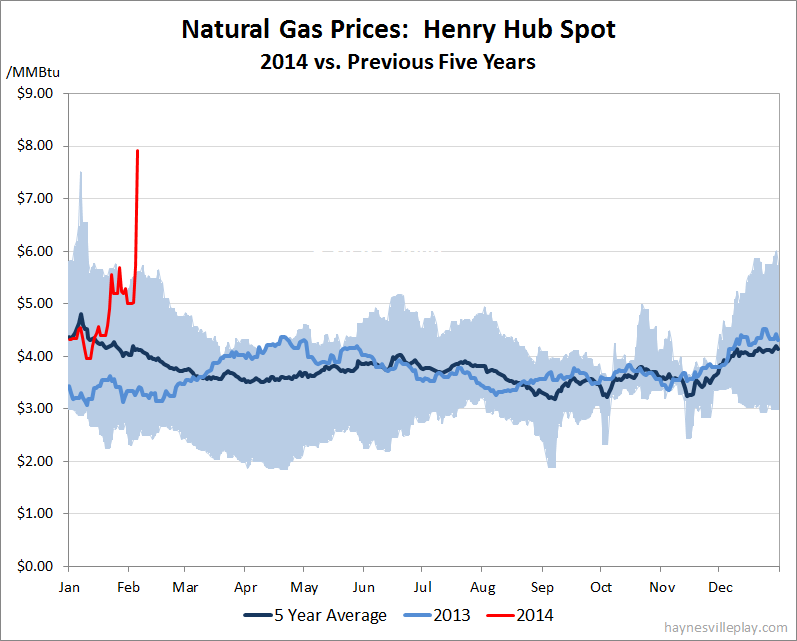 Yesterday the Henry Hub spot price of natural gas jumped $2.18 to close at $7.91, after having jumped 71 cents the previous day. The last time prices were this high was Sept. 24, 2008. Undoubtedly this is a reaction to the cold gripping the nation and is not sustainable (the near month futures are holding around $5.14), but sometimes it's nice to revel in nostalgia for times gone by.